We all need to know what time it is! Carousel allows you to display the time in either an old-school analog clock or digital formats. 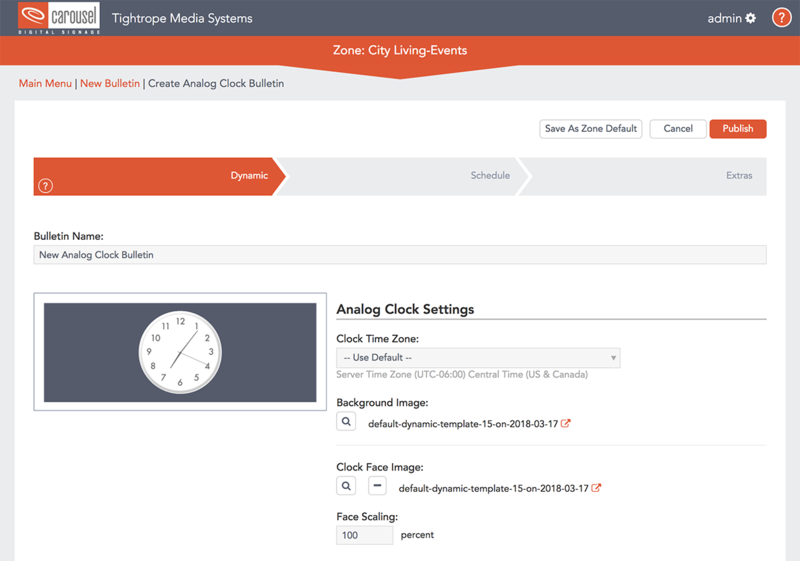 You have full control over the style and you can even set a custom time zone. Handy for creating dashboards to show what time it is in other parts of the world.